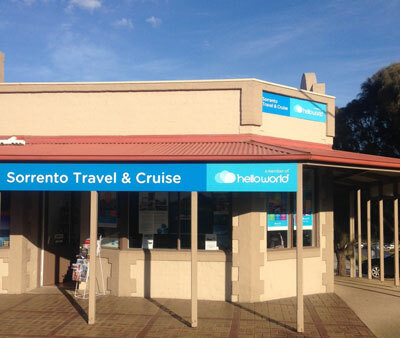 Sorrento Travel & Cruise has been established for over 40 years and operating in Sorrento for over 10 years. Our knowledge has been gained over many years as experienced travellers ourselves and we regularly travel to keep updated and inspired. Our staff are passionate about travel and collectively have over 100 years retail travel experience. We specialise in travel to Europe, Africa, and exotic and unusual destinations and itineraries. We offer niche services for cruising, small group touring, surf travel and tailor made itineraries. Our broad range of experience is worldwide across many modes and styles of travel.